HP Stream 11 new budget Windows laptop has the same dimensions as an 11-inch MacBook Air (the Stream 11 is only a tenth of an inch thicker). 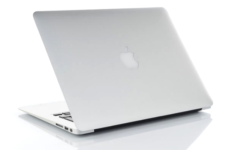 At 2.74 pounds, it’s heavier than a 2.38-pound MacBook Air, but at a quarter of the price! 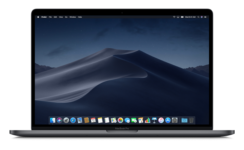 Of course, you’ll not replace the MacBook Air with this HP computer, since it is not an enterprise-class computer; but we recommend it for anyone who needs the ability to run Windows desktop programs, (especially Microsoft Office) and does most day-to-day activity in the cloud. In our opinion, this little machine is really nice. Office apps snap open quickly and even casual games perform flawlessly on it. 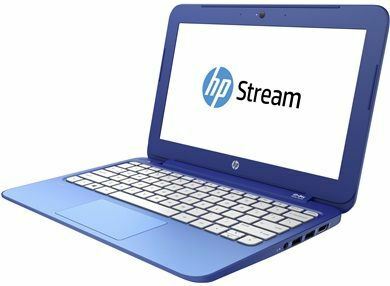 HP Stream 11 is aimed at cost-conscious consumers and to those who’ll use it for work; however, it can’t run Visual Studio, Photoshop, or any game that puts a moderate demand on the GPU. Here’s what’s inside the Stream 11: Celeron N2840 CPU clocked at 2.16 GHz, 2 GB of RAM (1.89 GB usable); 32 GB of eMMC flash storage (Hynix HBG4e) with a full-size SD card slot for expansion; an 11.6-inch (diag.) WLED backlit display, running at 1366 × 768 resolution; HP TrueVision HD webcam; 802.11 b/g/n Wi-Fi and Bluetooth 4.0; 2 USB ports (1 USB 3.0, 1 USB 2.0); a full-sized HDMI port; as well as Windows 8.1 with Bing (64-bit). The larger variant; Stream 13, also includes 4G options. One of the biggest weaknesses of the Stream 11 is its lack of storage. Out of the box, roughly one-quarter of the 32 GB storage is devoted to a Recovery Partition. Windows (the built-in apps and the Office program), files gobbles up even more space. 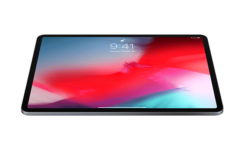 After installing some other features and connecting to iCloud, you might end up with only10 GB or less of available storage space. You can; however, expand the available storage by purchasing an inexpensive SD card. Finally, we believe the plastic housing has a solid, sturdy feel with a nice matte finish that makes the case easy to grip. The display is sharp enough for casual use and is viewable at even extreme angles. Because the design eliminates the fan, this device runs quietly. It’s extremely easy to connect the Stream 11 to a Miracast adapter and play HD videos with surround sound. Because Windows 8.1 includes Miracast support by default, there is no configuration required. Other pre-installed programs include 7-Zip, Netflix, Skype, TripAdvisor and a few different Microsoft games as well. 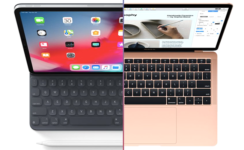 iGotOffer.com: the best place to sell my used Macbook online. We buy even broken laptops. Free quote. BBB A+ rated business.